The low-profile Maxxair 00-003801 Mini Vent Plus RV roof ventilation system with built-in rain shield and LED lighting provides both ventilation and illumination where you need it. 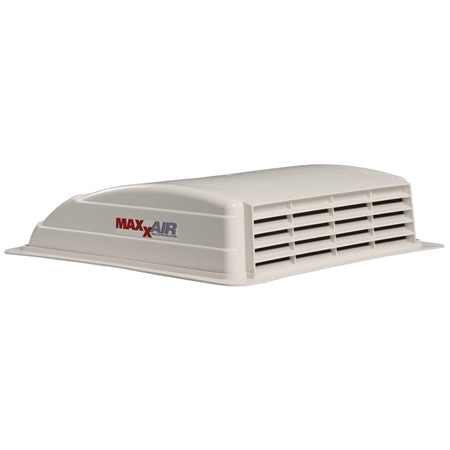 Keep any space fresh, comfortable and well-lit while protecting your interior from rain, bugs and debris whether vent is open or closed. Easily installs into any 14” x 14” opening and is perfect for powered bathroom and galley exhaust fan applications.